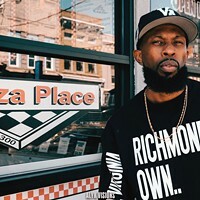 Salt of the Earth | Movies | Style Weekly - Richmond, VA local news, arts, and events. Kelly Reichardt, one of the country’s best independent film directors, walks a dog. 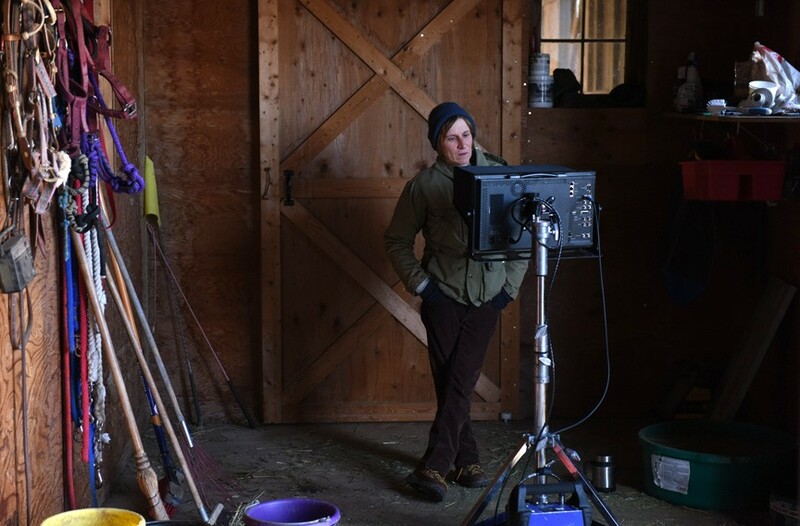 Director Kelly Reichardt on the set of her last feature, “Certain Women.” Reichardt will be attending several screenings of her films as part of this year’s James River Film Festival. Not unlike one of her movie characters, Kelly Reichardt is walking outdoors in Portland, Oregon, with a dog, trudging through the remains of a minor snowfall while trying to untangle her ear buds. One of the most talented and poetic independent directors working in cinema today, Reichardt is known for her character-driven, slow-moving films such as "Old Joy" and "Wendy and Lucy," the latter of which revolves around a homeless drifter played by Michelle Williams and her companion, Lucy, a mixed-breed canine of Reichardt's that bounded through both films and has since died. Her most recent movie, "Certain Women," weaves together three short stories by Maile Meloy and stars Laura Dern, Williams, Lily Gladstone and Kristen Stewart. Set in Montana, the acclaimed drama was dedicated to Lucy. Today Reichardt seems happy to have another four-legged companion. "This is a friend's dog, Fritz, who usually is in a store window where they have a little factory," she says by phone. "Me and the dog became friends so I walk him." The director is coming to Richmond to show a selection of her work, including "Night Moves," an eco-terrorist thriller starring Dakota Fanning and Jesse Eisenberg, plus "Wendy and Lucy" and "Certain Women." Suddenly a large dog starts barking in the background and the conversation halts. "Oh no, we're being attacked," Reichardt says calmly. "Hi!" — then the line goes dead. When I reach her a few minutes later, she's trying to find a quiet place to talk along the path, which sounds alive with flowing streams, maybe even a waterfall. But she's not even in the woods and the sound I'm hearing is not a stream but rather nearby car traffic in slushy snow, she says. "Oh, but wouldn't that be beautiful if it was? Write it like that." Nature plays a pervasive role in her work. Already this interview could be a scene from her breakthrough, "Old Joy," which is built around a long walk taken by two reacquainted friends (and Lucy) to a hot spring outside of Portland. "Oh no, there's salt in the dog's paw," Reichardt says. "They don't even really salt here that much. The whole city is shut down over less than an inch of snow. They're in no shape for the big earthquake to come, I'll tell you that." A longtime New Yorker, the director lives half of the year in Portland when she's not teaching film at Bard College. "I'm a bi-coastal renter," she says, adding that she hasn't been back to Virginia since she was young and her family camped here with their Virginia Is for Lovers stickers. She was raised in Miami, the daughter of police officers, and began discovering world cinema at Tufts University, which set her on a steady path to filmmaking, international awards and acclaim. "Yeah, my movies always seem like little mini road trips to me," she says. "You're dropping in with someone, spending some time with them, catching up on a few days or weeks of their lives and leaving them where you found them. That sort of ends up being the approach on all of them." Thematically, her films explore questions of community, and how we treat each other, while featuring working-class characters living without a net. I ask her if this preoccupation reflects her own experience as a filmmaker. "Gosh, it's so hard to know where everything comes from, right?" she says. 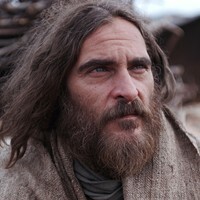 "In filmmaking there is a lot of community, we're really out in it, usually in harrowing conditions. … I think the idea of each man for himself is probably contrary to the original thinking of the American dream." One of the reasons she often works with the writer Jon Raymond, she says, is because his writing is focused on small communities and how the politics of small communities play out. "Because it's too much to take on the bigger themes [laughs] and this way we can really focus on the characters." These are characters often mired in a kind of rootlessness but who still remain resilient. Reichardt says questions such as "How do you live? What do you do? Where are you supposed to be?" are the ones she is constantly drawn to. 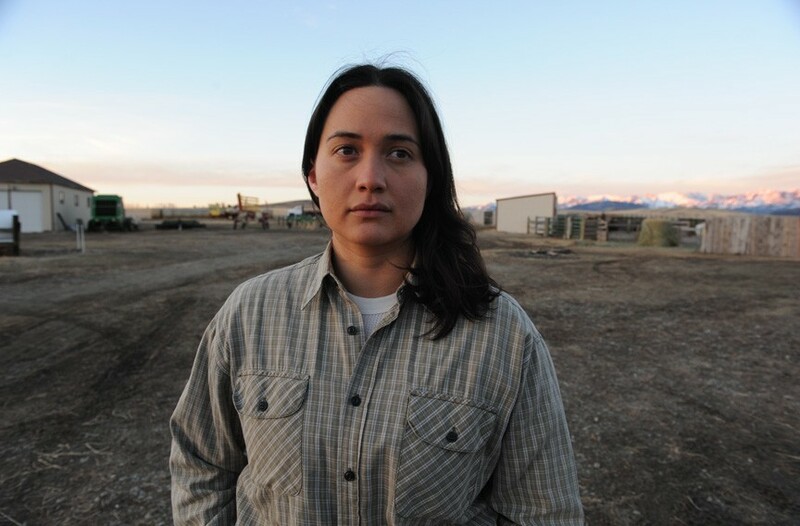 Lily Gladstone in "Certain Women." "Uh-oh, hold on Fritz, that's a lot of salt," she interjects, noting that she's about to cross some big levee. I'm listening closely for background noises now, imagining a perilous scene and wondering if this call is too distracting. It all reminds me of another essential ingredient of her filmmaking: a masterful use of sound. As a film teacher, Reichardt uses an exercise where students watch films without the picture, trying to construct the narrative using only sound. "The sound design comes in early when you're location scouting. 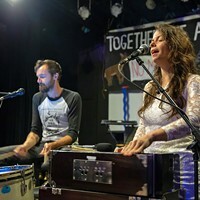 So trying to figure out the sounds of a place and how you can work them in to create tension, or open up a space that you don't want to open up visually," she explains. 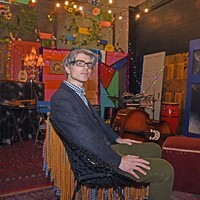 "As soon as I start — you have time to sit in places and think about how you make a space work. You can get stuck on that for a while." She's been lucky to have adventurous sound teams on her films, she says. "The sound recordist on 'Meek's' gave me a 20-minute folder of just fly sounds that he'd recorded in the desert," she recalls. "Once shooting starts, as much as you say it's not all going to be about picture, it's all about picture. You have to hope your sound team is doing stuff on the sly." For example, she recalls one deleted truck station scene from "Certain Women" where the especially strong Montana winds were creating "a highly musical sound" blowing beneath and between the trucks. "We could never get the other trucks to turn off their engines so we could totally capture it. But [my sound guy] went back a bunch to try, and he got enough that it could be a guide for what we wanted to do with the score." Richmond native Almitra Corey worked as art director on "Night Moves" and says she learned a lot from working with Reichardt. "Mostly just how collaborative and kind everyone can be," she says. "She's so damn smart. … She had a clear vision and whatever obstacles came, she handled them correctly. She never blew up at anyone and she came prepared with so many visual and literary references." Reichardt still shoots on film and has edited all of her work besides "River of Grass." She says that she gears her students, who now have unlimited options with video, toward not shooting too much, effectively locking them down. "Editing is a lot cheaper now but people still want to keep you on a schedule," she says. "Myself, I'm more thinking about the cut while I'm shooting. We just don't have film to burn, so it's more restrictive for sure." Reichardt says that she really likes the works of Richmond filmmaker Rick Alverson, whom she's met. 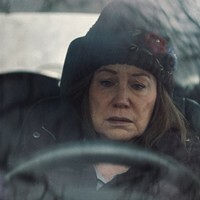 While Alverson's films can be more antagonistic in their confounding of viewers' expectations, like hers they unfold with glacial pacing and intense focus on character. I ask her if she thinks there might ever be a return movement to the kind of auteur cinema that marked the early- to mid-'70s. "In fairness, those films of the new Hollywood, that was no scene for women. I would never have been allowed to make movies," she says. "But yeah, I don't see things going in that direction. All films are really expensive. Even if you can make one for a million dollars, it's still a million dollars. Unless you're making films about people walking in the forest every time, you need a budget to do anything. Demand is for broader content, not more specific content." There was a 10-year break between Reichardt's debut film and her acclaimed follow-up, "Old Joy," and she's noted in interviews that the reason was her disillusionment with the male-dominated system. So has she seen anything change for female directors in the current Hollywood climate? "Oh god, don't ask me that. I can't go down that path: the overview of the industry and women," she says, pausing a bit. "Sorry, I'm super anxious to get to a place in the world where we don't have to talk about women filmmakers as women filmmakers. Everyone can just focus on content. Don't make me go down that path." While she's saying this, it appears she's actually gone down the wrong path wherever she is walking. "Now I'm totally lost," she says, laughing. "I'm so bad with direction. I've done something crazy. What did I do?" As she gets her bearings, we chat briefly about film festivals and what she likes about attending them, such as conversations with people she'd never meet ("A farmer in Costa Rica who watched 'Meeks Cutoff' started talking to me about religion"). She's tight-lipped about current projects but says she is working on something with Canadian novelist and screenwriter, Patrick deWitt, but "who knows?" Today has been frustrating and this walk was to get away from work, she adds. After a few more minutes of small talk, she's made her short journey to Mount Tabor, a volcanic cinder cone in southeastern Portland. Her breathing changes as she begins to truck uphill in a countrylike setting. Time to get off the phone. Director Kelly Reichardt will appear at screenings for "Wendy and Lucy" on Saturday, March 17, at VCU's Grace Street Theater at 7:30 p.m. ($10); and "Night Moves" in the same theater at 9 p.m. ($10). Also she will attend the screening of "Certain Women" on Sunday, March 18, at 4 p.m. at the Byrd Theatre ($10).